Skip to main table of contents. 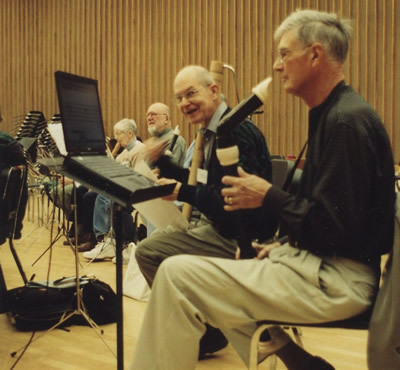 Welcome to The National Resource Center for Blind Musicians, A division of Neighborhood Studios of Fairfield County, which is a school of the arts in Bridgeport, Connecticut. The resource center provides information and referral services for visually impaired students of all ages, their parents and teachers. 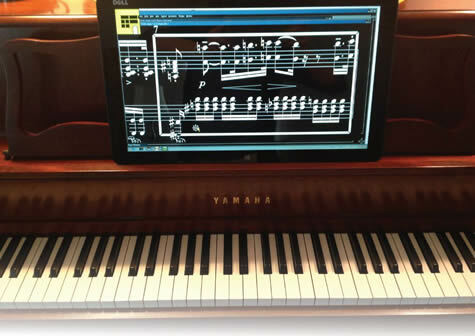 It is one of the sources to which one can turn for help locating visually impaired musicians willing to share their expertise in braille music, technology and coping strategies. 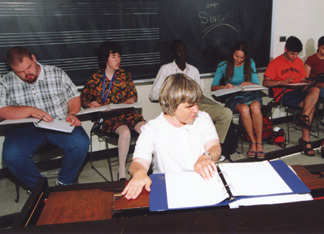 The Resource Center is best known for its Summer Institute for Blind College-bound Musicians, a residential program which was run from 1996 to 2012. We do not offer the Institute at this time. 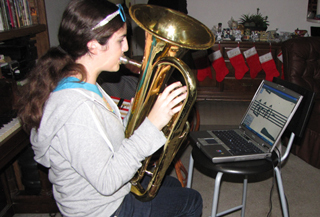 However, we stand ready to help students find alternative programs or teachers with the expertise to fill gaps in their readiness for music study at the college level. Other activities of the resource Center include developing programs for visually impaired people living near Neighborhood Studios and teacher training. Students in sight singing class reading braille music. David Goldstein, director of the Resource Center and developer of this web site, works with student at the computer. The Resource Center is funded largely through the generous support of foundations and individuals. Expansion of our outreach and online services was made possible in part by grants from the National Endowment for the Arts and the NEC Foundation of America. 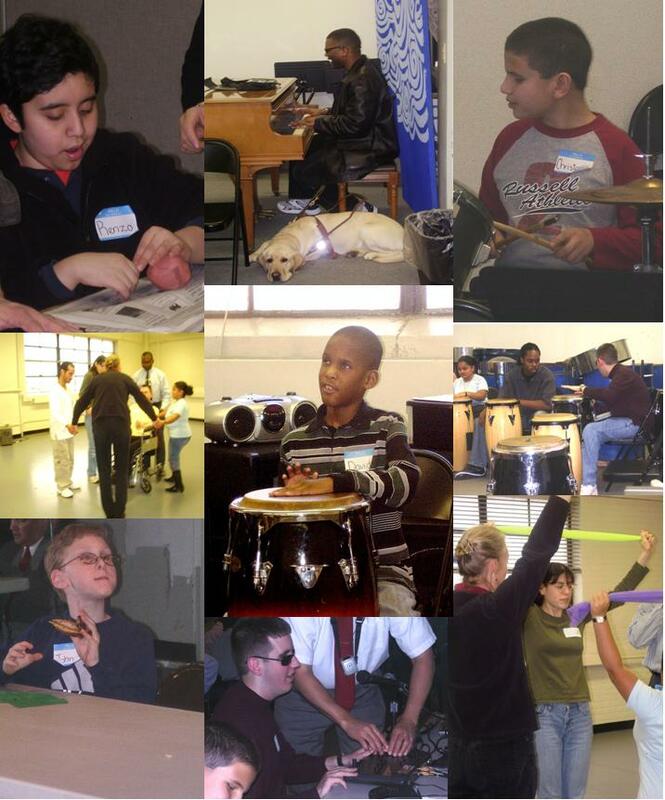 The purpose of this web site is primarily to acquaint students, and the teachers who help them, with the many sources of materials and the strategies that have been developed to give visually impaired people equal opportunities for learning and enrichment in music, and to provide direct links to the music-related services of other organizations that may be useful. The Resource Center has a small staff, and its ability to help comes mainly from being able to refer callers to people we have found over the years with expertise in particular areas. To answer most questions, we refer to the same services given on this site. We hope that the various pages on this site will give you at least the background information you need, and we will be happy to work with you directly on finding further solutions. If you would like to exchange ideas and music experiences with others, we recommend looking into the various listservs mentioned in our resource list. This site is set up like a book, with a separate page for each subject, and a table of contents. Subject pages with more than one section will begin with their own tables of contents. Important navigation links are always at the bottom of the page. The bottom-most link will return you to the main table of contents on this home page. Screen reader users will find the commands to jump to headings or paragraphs particularly efficient on this site. Readers may also find the "back" command (backspace or Alt plus Left Arrow) useful for returning to a previously read page. 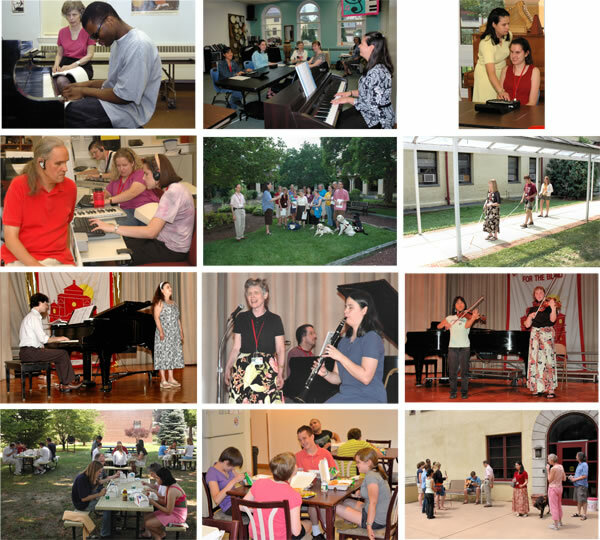 Summer Institute run from 1996-2012. 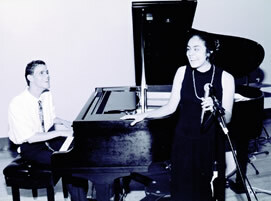 Pictures were taken at the Overbrook School for the Blind, where the program was held for nine years. An Arts Fun Day at our headquarters in Bridgeport, Connecticut. The late Thomas A. 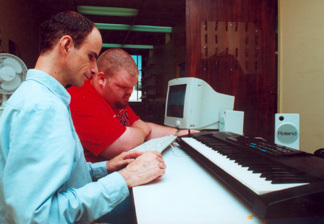 Green (front), at a workshop of the Albuquerque Recorder Society, using the computer system he developed. A home-made music system. All components can be seen, including the foot pedal used to move from one set of measures to the next. The Lime Lighter Leggiero from Dancing Dots. The Lime Lighter, which comes in several models, is currently the only commercially available music magnification system we know of that comes ready to use out of the box. Home Page Main Table of Contents. Low Vision -- for those who need enlargement or don't use braille. The Web Site of Neighborhood Studios of Fairfield County.